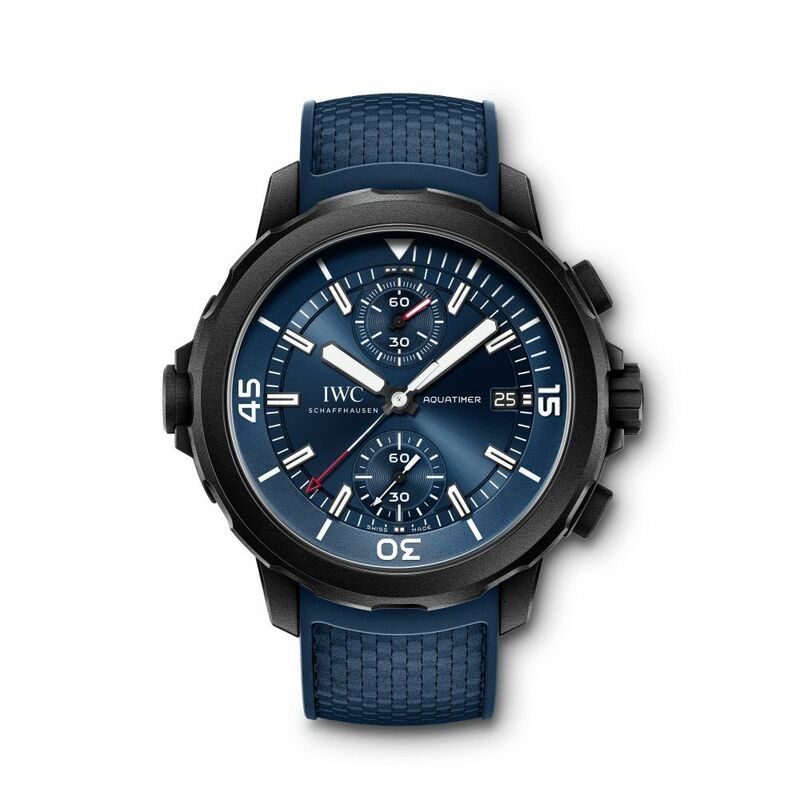 IWC Aquatimer Chronograph Edition 'Laureus Sport for Good' IW379507 is a limited edition of 1000 pieces created in support of the Laureus Sport for Good foundation. True to the IWC Laureus tradition it features a blue dial and an engraved case back - this time based on a drawing by the 15-year-old Sri Lankan boy Melan. Using the IW3795 as a template, the Aquatimer Laureus features a rubber-coated stainless steel case of 45mm. 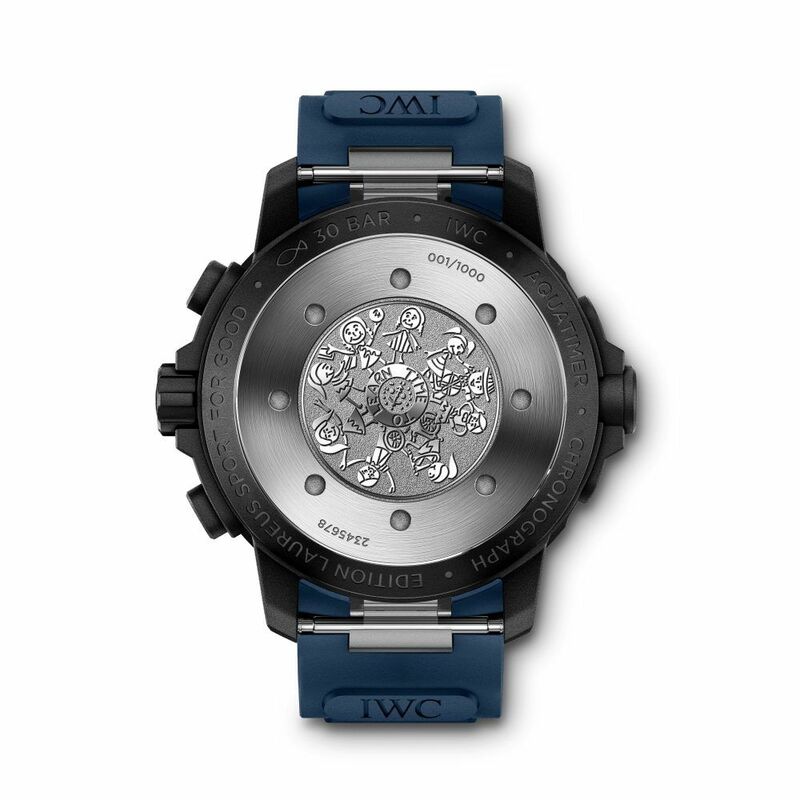 It is powered by IWC's in-house caliber 89365 with fly-back chronograph.